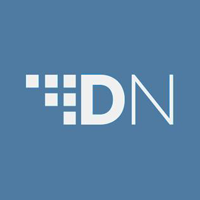 Formally known as duckNote and DarkNote, DigitalNote (XDN) is an ASIC resistant cryptocurrency, using the CryptoNight V7 algorithm. Recently updated to the CryptoNightV1 (variant 1 also known as “monero7”) algorithm. It is an anonymous, decentralized cryptocurrency, offering instant, untraceable, un-linkable encrypted messages with It has extremely low processing fees. DigitalNote XDN allows holders to stake for locked in periods. It is 5 times faster than Bitcoin with a block target time of just 2 minutes. Visit our full digitalnote mining calculator. We don't have any wallets listed for DigitalNote yet, check back soon! We don't have any debit cards listed for DigitalNote (XDN) yet, check back soon!